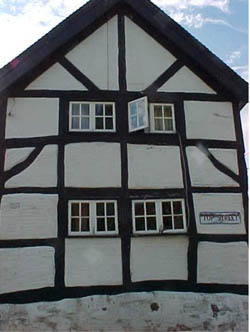 The exposed architecture of the Black Horse suggests that part of it at least dates from late in the Sixteenth Century. Work is in progress to try to find out more about this period of the village’s history in general. This may shed light on the pub’s earlier days. Meanwhile, due to the generous co-operation of the brewers, Marstons, it has been possible to compile a part history from 1789. There was a house on the site of the pub before 1789 and we know that it had been owned by one John Parr and that there had been two other previous owners. So far, we do not know their names but these three generations would take occupation of the site back to circa 1700. We know of Parr from an Indenture dated 1789 when the house changed hands. By this legal transaction the owner John Wright, a currier of Ashby, sold the house “...together with outhouses, edifices, Barns, stables and orchards, gardens, ways, watercourses, commons and commons of pasture and commodities...” The longwinded phrase does not necessarily indicate that the property included all these additional features, however. Eighteenth Century lawyers were just as adept as those of today in trying to cover every possible contingency, inflating their fees in doing so. John Wright is also referred to as a yeoman which indicates him as a man having a landed status above that of many in the community of Ashby. For two years it may be assumed that George kept up his interest payments on the mortgage. But by April 20 1820, the brewing firm claimed that he owed them £50 for goods supplied. This little matter was settled by a further mortgage of £50 on the same terms. The same recurred in 1825 and by 1827. Though George Wright may have been pleased at the rate at which his property had appreciated since 1789, it might be said that he was not a very capable business manager. A picture might emerge of a penniless George, bargaining in what had so lately been his own bar parlour, for a home. How long he remained a tenant is not at present clear. What is clear is that the Black Horse was now firmly under brewery control and that the 36 year ownership of George Wright ended with him as a tenant. The first official Census of Appleby was taken on 6 June 1841. From the return compiled of it, we can read that on Over Street (no street numbers were then given) there lived Samuel Parks aged 45 described as a Publican with Hannah his 30 year old wife and two daughters, Mary 5, and Lucy 3. It can be safely assumed from other evidence, that Over Street in 1841 formed part of what is now Top Street. The next entry that the enumerator recorded was of a Willam Parker, a carpenter aged 50. Following these, the enumerator’s records details for Mawby’s Lane. It seems safe then to assume that in 1841 it was the Black Horse which Parks the innkeeper tenanted and that Parker the carpenter, was his next door neighbour. Moving on to 20 February 1864, a Marston’s conveyance of then exists to show that one William Parker had sold a carpenter’s shop to Thomas Bowley, described as an innkeeper. Although the seller of a workshop, Parker enjoyed modest substance : the deed of sale records that he owned land at the rear of the carpenter’s shop and had a dwelling house there, also. There was a road leading to this house. By the sale, Thomas Bowley was to have full and free use of this road and also access to the well situated on Parker’s land. By 1864 then, Thomas Bowley lived at the Black Horse and he is recorded as innkeeper of the Black horse in White’s 1857 Gazeteer of Derbyshire. At present we lack the date of his taking over from Samuel Parks but he held the tenancy until his death on 20 June 1877. He had apparently achieved a consolidation of his interests by buying out Parker’s carpenter’s shop, house and land. Was Bowley a carpenter despite his description as innkeeper? His son John James Bowley may well have followed him in the trade since in Thomas’’ will dated November 2 1876 James is described as a cabinet maker who was living in Birmingham. The Bowley name remained associated with the pub via Thomas' ’widow Ann, in 1891. By that date, decennial surveys were giving much more detail. 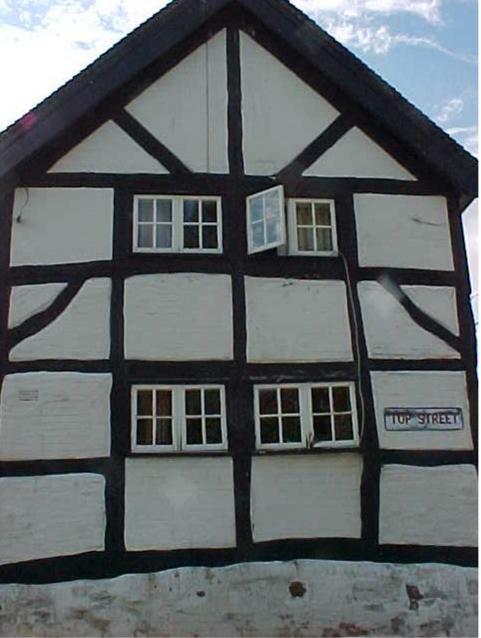 Thus the Black Horse is listed as having a widow, Ann Bowley aged 68 who was born at Windley in Derbyshire, who is described as a Licensed Victualler and as Head of the House. But she is marked in the appropriate column as “...neither employed or unemployed.” If she declared herself thus to the Census enumerator, she may have tried to convey that she was still the licensee but in semi retirement. Also recorded as living at the Black Horse in 1891 is Annie Bowley, described as grand daughter, single, aged 21, born in Birmingham and whose employment is given as “assistant”. Given the Birmingham connection, we can speculate that Annie may have been the son of John James Bowley, cabinet maker, and that she lived in the pub, helping out her elderly grandmother. However, the Bowleys were prominent in Appleby history. 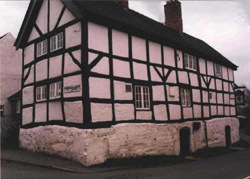 In addition to Thomas at the Black Horse, in 1857, a John Bowley kept the Anchor Inn which was at Appleby Parva. But by 1877, John William Bowley is described in White’s History, Gazeteer and Directory as a farmer and victualler at the Moore’s Arms. This had replaced the Anchor, demolished to make way for New Road and to “tidy up” the Moore’s estate. The Moore’s Arms was the replacement. Also listed there is a James Bowley described as a joiner and builder, carver and cabinet maker. Further work is needed to establish positively if this James was Thomas’ son and Annie’s father but it seems likely. 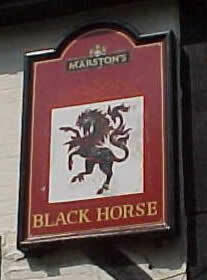 In 1887 there had been a different small development in the Black Horse’s history. In that year, the Governors of Market Bosworth School who had extensive landholdings in Appleby, sold some land to Bass, Ratcliff. The land is described as part of Hall Close and the sale price was £67.10s. 0d. This land adjoined the pub, and extended 54 feet from its rear wall, was about 130 feet in length and forms what is now the car park What precisely was the brewery’s motive in the purchase is unclear. Possibly, the house owned by the earlier Mr Parker stood on it and may have presented a difficulty. A copy of the plan referred to in the sale agreement gives quite a lot useful detail. The property forming a carpenter’s shop which Bowley had bought from Parker may have assumed the status which we would now call a “granny flat.” It was sold on 5 July 1892 by the trustees of Thomas Bowley, that is, his son John James and a Walter Vernon Garrat, a clerk of Scalpcliffe Rd Burton. This is known from the conveyance which refers to “...all that building now used as a kitchen and pantry with room over in the occupation of Ann Bowley which building was sometimes since erected by Thomas Bowley on the site of a building formerly used as a carpenter’s shop.” The description of the land and the rights to the well are just as described when Parker made the original sale to Thomas Bowley. By1892, either the elderly Mrs Ann Bowley had died, or grand daughter Annie had been in occupation of the “flat”. It was sold for £40. If it were a granny flat, or possibly a bolt hole for Annie, the “assistant” at the pub, would John James Bowley have put his own mother or Annie - who we have speculated was his daughter out of their home for this amount / Whatever is the truth, it was vacated. The reason may well have been foreknowledge of the sale of the Black Horse by Bass, Ratcliff and Gretton, as they had now become : it had occurred just two weeks earlier. The pub changed hands at £650 and the buyer was a William S Cooper who was also the buyer of the flat. He is described in the conveyance as a brewer of Acresford. Was it prior knowledge of Bass’s sale that caused John James to feel that either his daughter or his mother would be unhappy with their new next door neighbours, or was subtle pressure applied perhaps, the new owners wanting to incorporate “the flat” into their new acquisition from Bass? Within five weeks of his purchase, Cooper raised two mortgages on the property. On September 2 1892 William Matthew a grocer of Linton, advanced £400 at 4%and the following day a further £160 was raised from Thomas Carter and Thomas Richardson both of Donisthorpe, at 4.5% The Bowley tenancy had now disappeared from record since at this date, the Black Horse is described as being in the occupation of William Starbuck. He was still there on 19 May n 1899 when Thomas Carter one of the Donisthorpe mortgagees died. He is buried at Netherseal. Two London men, Vaughan Morgan of 22 Harrington Gardens, S Kensington and Leopold Siligman of 18 Austin Friars appear then to have moved fast to secure the Black Horse though probably not for any long term interest of their own. An indenture dated 1 November 1899 shows them assume the mortgage of the Linton man, William Matthews and by a further indenture of the same date they took on also that of Carter, now dead, and his surviving partner, Richardson. £50 on the building of the private cottage brick built and tiled [my italics, twice] near the above and separated therefrom by a yard about eight yards wide." This description would seem to correspond with the description of the property deal between William Parker and Thomas Bowley in 1864. Did the “yard about eight yards wide” provide the road that lead to the dwelling house occupied once by Mr Parker which we have speculated may have stood on the area now covered by the car park. This is about as far as I have deduced and there is no doubt room for correction and other, alternative deductions. There were other publicans in the village. They are listed as James Yardley, 45, who was in Church St., possibly the Crown for in 1857 White records in his Gazeteer of Derbyshire that it was kept by a James Yardley who is described as being also a seedsman. Another man described as Publican was Samuel Cotton, 40, who occupied Appleby Fields House on the Tamworth Rd. part from Samuel and his wife there were present on the day in question also two women named Jones plus two women servants, four male servants and an agricultural labourer. In 1857 this was the Red Lion pub kept by William Goodall. The property disappeared with the arrival of the motorway. A little later, in 1877 a farmer John Garner also kept a “beerhouse". It is likely that there were more beerhouse keepers, undeclared as such. Another pub that disappeared was the Queen Adelaide which was on the corner of Bowley's Lane.